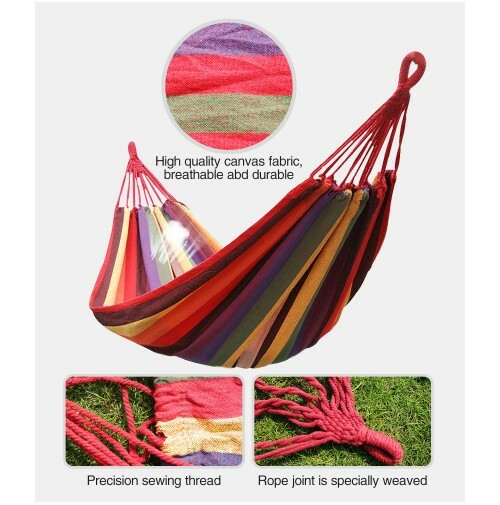 HIGH QUALITY: Enjoy a good sleeping time with REDCAMP hammock for you. This is made of cool, comfortable high quality Canvas/Nylon fabric in a multicolored pattern, durable, crease proof, dirt-resistant and easy to clean. The rope joint is specially weaved according to physics rules in order every string stand the same weight to ensures safety. 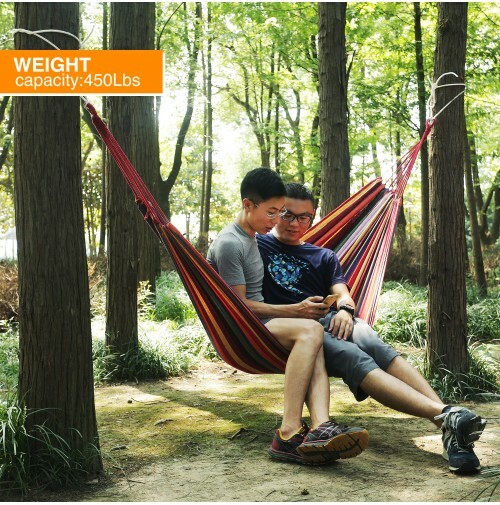 TWO PERSON HAMMOCK:The double portable hammock total length is:110”x59” and the bed area is 75”x59”. Can fit 2 persons up to 6ft 2in,Safely holds up to 450lbs. This Hammock can last many years. PORTABLE HAMMOCK: The camping hammock comes complete with a free storage bag for easy travel. Easy to carry and save space in your backpack, convenient to use, you can take it camping or use it anywhere indoor or outdoor. OCCASIONS: Ideal for hiking, camping, climbing, boating, traveling, picnic, backyard, or garden and yard use. 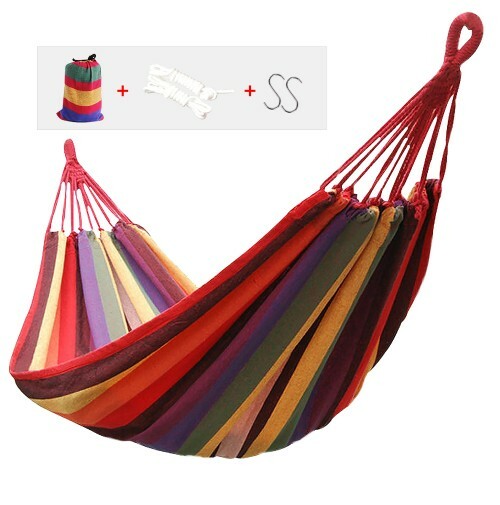 Very easy fixing,just fix the hammock with 2 binding strings and tie the strings to trees or poles.